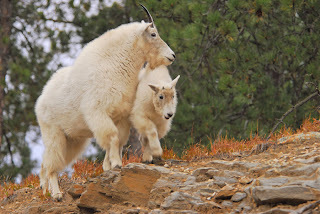 Dakotagraph: Mountain goats or bighorn sheep? Mountain goats or bighorn sheep? I get this question a lot when I'm in the Black Hills - "Are those mountain goats or bighorn sheep?" I've also heard both animals called some variation of "mountain sheep" or even "weird deer." South Dakota has both and here's how to tell which is which and where to typically find them. Mountain goats are the white ones. That's pretty much it. If they are white, they are mountain goats. Other characteristcs are relatively short, shiny black and very sharp-looking horns. As with other goats, males are "billies," females are "nannies" and young ones "kids." 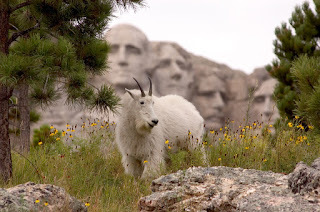 I usually find mountain goats around Mount Rushmore, sometimes right on the Avenue of Flags or wandering alongside the amphitheater seats. They can also be spotted in the Needles area of Custer State Park, on the Iron Mountain Road, and once I saw one as far north as Spearfish Canyon. Bighorn sheep are usually a dark grey in color or leaning more towards brown. 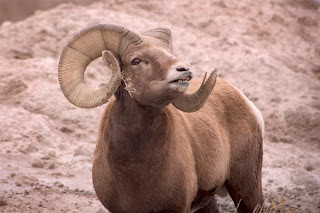 The male rams will eventually grow the thick spiraling horns you see in the Dodge trucks logo. 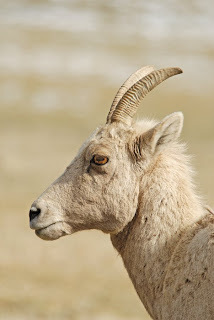 Females tend to have much slimmer and shorter horns, which can look similar to mountain goat horns, but more of a grayish-brown color instead of shiny black. Males are "rams," females "ewes" and youngsters "lambs." Bighorns can be found in many parts of Custer State Park, quite often in the valley where the State Game Lodge is located. 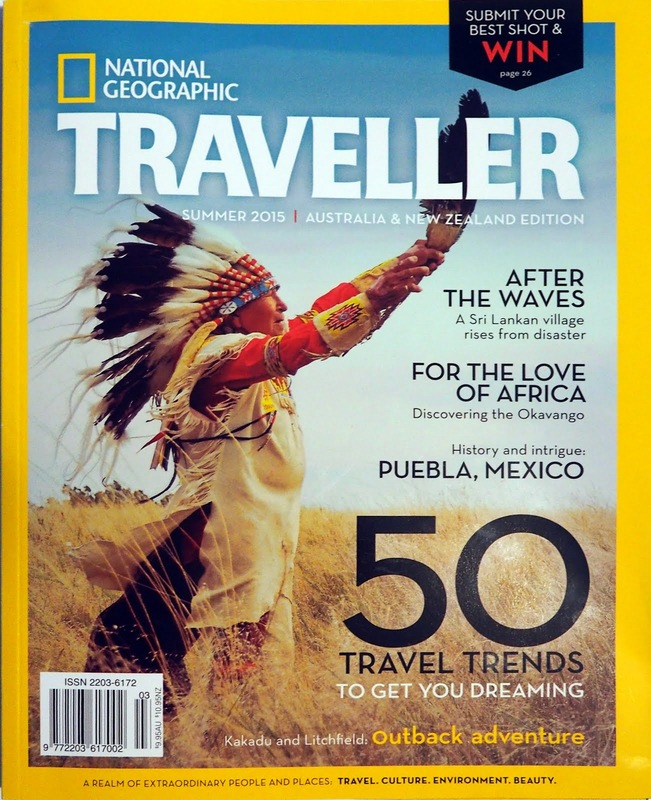 They can also be spotted in Badlands National Park. I can almost always find some within a mile or so either side of the Pinnacles Overlook on the west end of the main Badlands loop road. Edit 4/2/08 - Just shot this female bighorn sheep in Custer State Park last week, so I thought I'd throw it into this post to illustrate the contrast between this and a mountain goat. Although the horns are similar in size and appearance, they are definitely a different color, as is the hair.